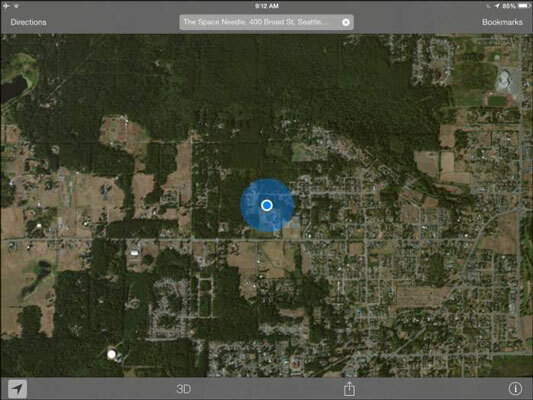 Another cool app for those who like their maps of the topographical variety is Topo Maps for iPad from Phil Endecott ($7.99). This app taps into the United States Geological Society (USGS) and Canadian topographical maps and is great for planning that next trek into the wilderness. With Maps open, tap the Information button in the bottom-right corner of the screen and reveal the Maps menu shown here. 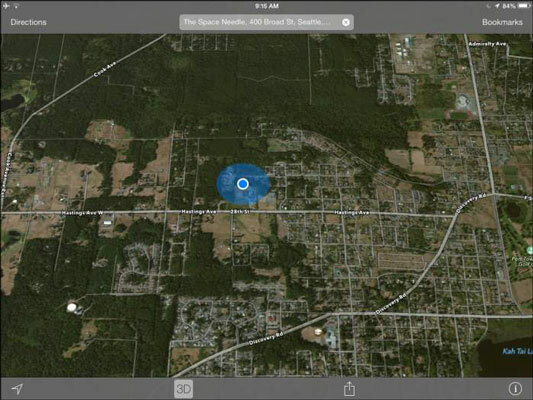 The Satellite view shown here appears. Tap to reveal the menu again and tap Hybrid, as shown in Figure2-4. Doing this displays a Satellite view with street names superimposed. Tap the 3D button at the bottom of the screen (to the right of the Current Location button). A 3D effect is applied to whatever view is displayed. 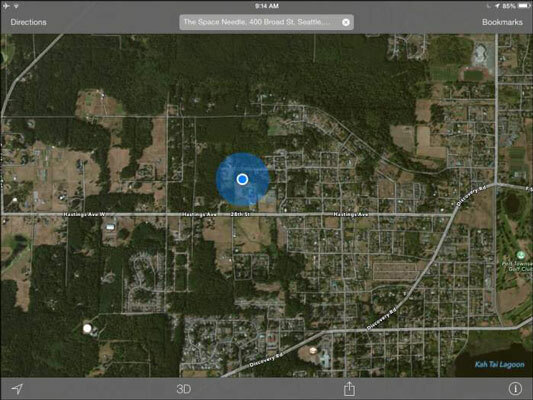 You can drop a pin to mark a location on a map that you can return to. You can also turn on a feature that displays an overlay on the Standard map to show current traffic conditions. This feature works best in major metropolitan areas and displays red dashes on roads indicating accidents or road closures to help you navigate your rush-hour commute or trip to the mall. 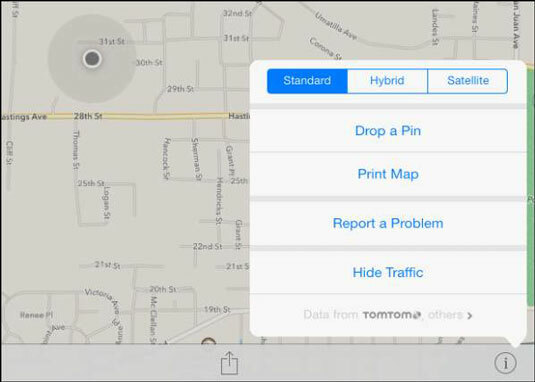 Tap the Print Map button on the Maps menu to print a displayed map with an AirPrint–compatible printer.